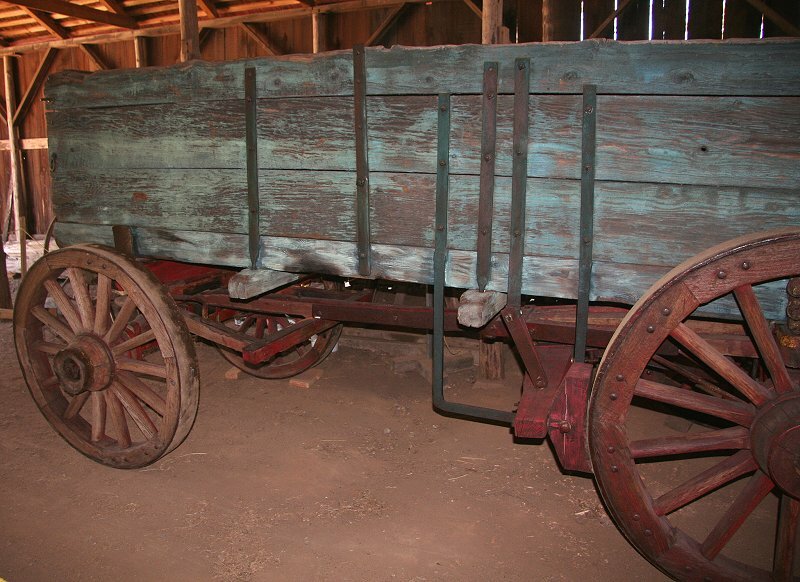 These particular wagons saw hard service in the Imperial Valley. 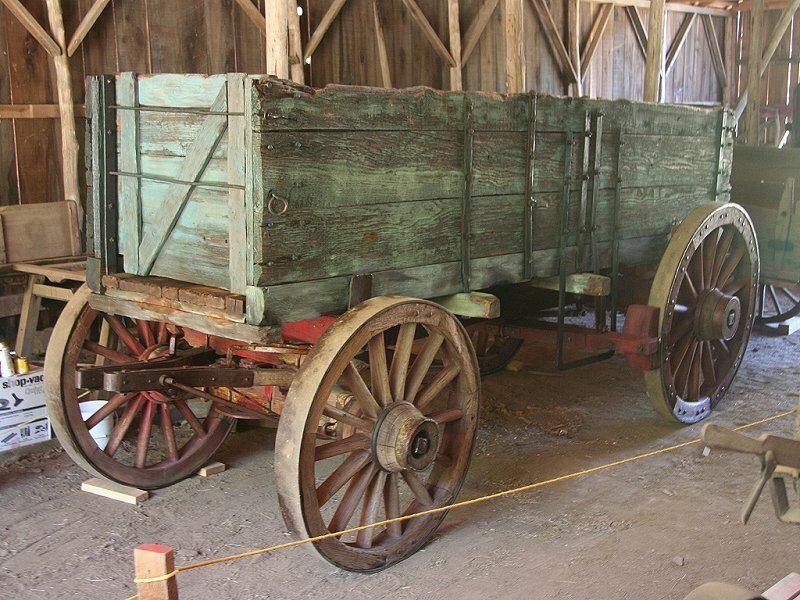 Similar wagons plied the foothills and Sierra mountain roads, including the Virginia Turnpike. They carried up to 4000 pounds each of a variety of goods. In addition to the brake lever location, this wagon differs substantially from wagon #2 in undercarriage brake application structure. Right-brake Freight Wagon just after its return to barn after being "conserved." 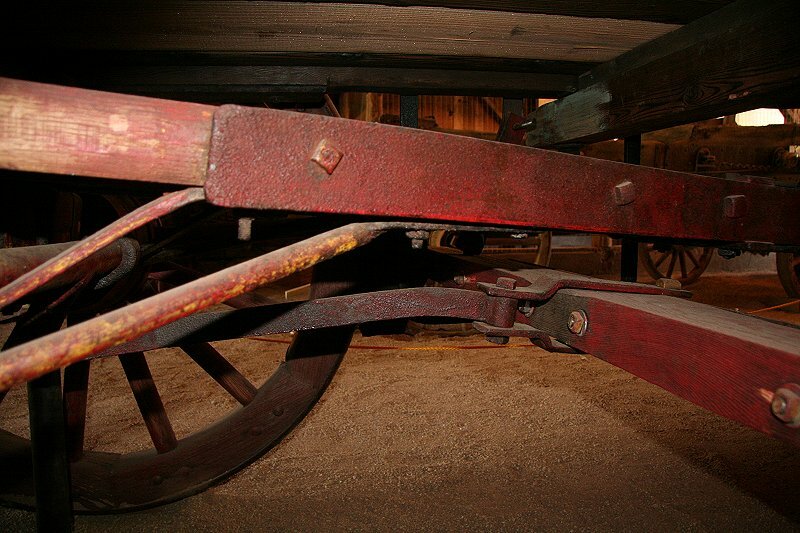 The front of the wagon (with smaller wheels) is on the left. 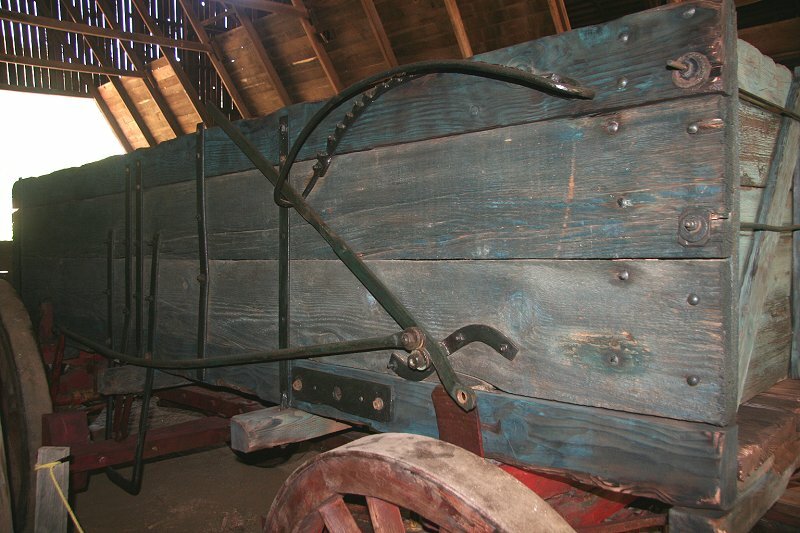 This wagon has the driver's brake lever on the right side (out of view in this picture). 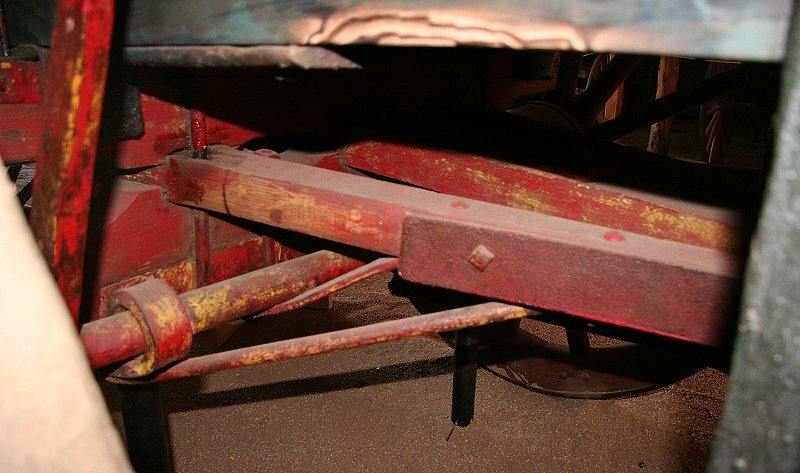 The lever system that presses the brake shoes against the wheel rims is shown in photos below. Another view of brake mechanism and undercarriage from the left side. Brake lever on right side, and tie rod attached to brake beam lever. As in the left-brake-lever freighter, the tie rod attaches to a vertical lever which turns a hefty shaft connected to the brake beam. 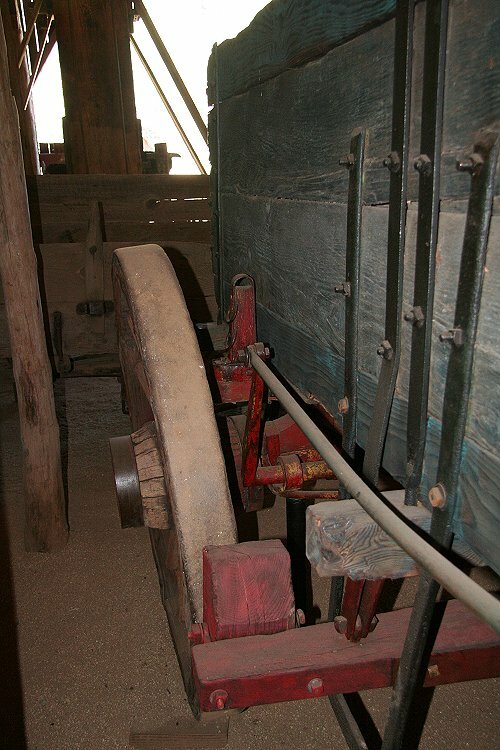 Unlike in the other freighter, in this wagon the attachment to the brake beam is via a triangular structure to a pin at the brake beam center. The pinned central connection to the brake beam. This assures the same force is applied to both left and right brake shoes, even if the shoes have worn down unevenly. Again, it is important to observe that although these two freight wagons (wagons 2 and 3) appear to be the same, many important details differ substantially.